British Foreign Secretary Boris Johnson has said that both Britain and Saudi Arabia share a “historic and common perspective” on the challenges of “Iranian disruptiveness” in the Middle East. 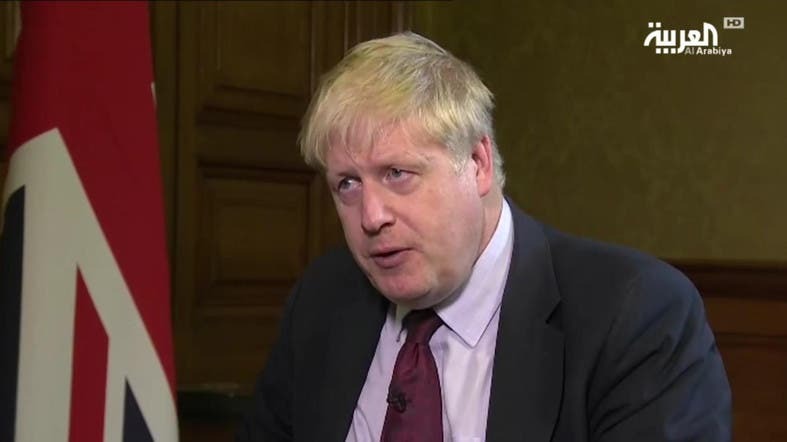 In an exclusive interview with Al Arabiya News Channel’s Rima Maktabi, Johnson spoke on recent reports of frayed ties between Saudi Arabia and the UK, as well as the Arab coalition’s campaign in Yemen and attacks on Riyadh by the Iranian-backed Houthis in Yemen. “We need to be clear and firm with Iran. It is unacceptable for them to be conniving in the Houthis’ use of missiles against Saudi Arabia … It’s a catastrophic policy they are following,” Johnson said. The full interview can be watched above.